The Lupino Sofa is inspired by Ida Lupino’s unique Hollywood story. A strong woman both in front of and behind the camera, Ida Lupino worked as both a director and actress – the only woman in Hollywood to do so in the 1950’s! Part of the Century Collection by Ottiu, this designer sofa combines feminine lines with a mid-century modern aesthetic. 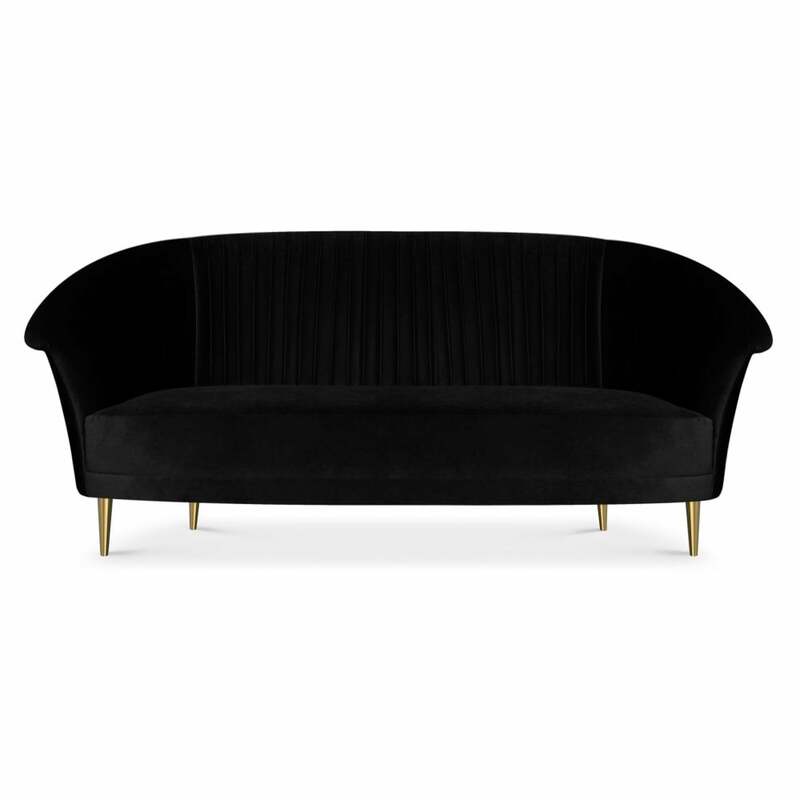 Hand-crafted by skilled artisans, the deep seat and contoured backrest is upholstered in the finest cotton velvet and complemented by polished brass legs. We love the Lupino sofa in a striking black velvet paired with accessories in pops of ultraviolet and electric blue. Get in touch with our team to discuss bespoke options. Priced for Upholstery: Ottiu Fabric. Structure: Pinewood, legs in polished brass. Details: Pleats.